Fourth planet from Sol, and regarded as one of the most dangerous places in the System to visit. Mars has a sinister reputation in the Free Planets, regarded as the place one goes to die. The adage that “everyone who crosses the Line dies” is credited largely to unwary adventurers and prospectors venturing too close to Martian territory, a danger which is believed to exist in its entire orbit, regardless of the planet’s location. Popular culture insists that Mars and its territory is dominated by crazies, all of the people in the System who for one reason or another are unfit for society, but prey on it to survive. Long-range telemetry and scanning of Mars has proven largely fruitless, offering the barest glimpse of human activity, some terraforming, and signs of conflict on the planet surface, but no context as to what is going on. If one digs around enough on the com-net, they’ll find some references to trade deals between the Solar Consortium and a group called the Xian Autonomy, that technically are still valid but haven’t been updated since 149 A.T. The most popular episodes of Captain Neutron revolve around her story arc about being the first civilized person to visit Mars and survive to tell about it. 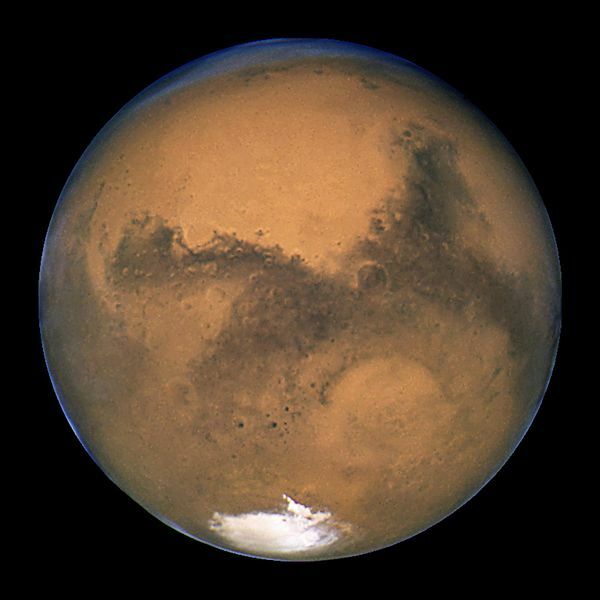 The popularity of the show and that season in particular has both fueled and defused interest among the populace in exploring what is really happening on Mars. As of 200 A.T., this has yet to produce anything tangible save for an ever larger missing persons report from those who cross the Line. Mars’s orbit has moved further away from Sol since Terra’s destruction, with some inconsistent variation. Consensus about Mars in general is hard to come by, but pundits and scientists both concur that any terraforming attempted on Mars would be even more difficult if it has been influenced further away from what is sometimes called the Garden Zone, the ideal distance from a star for life to exist in an organic biosphere without any technological support. Image credit: NASA, Hubble Telescope, circa August 23 2003 C.E.